Was still harder than it looks …. 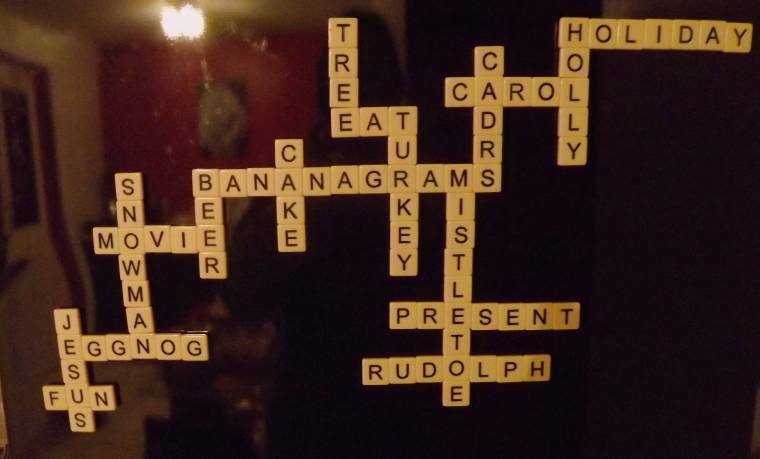 If you like word games, you will love Bananagrams. It uses your "Scrabble" thinking to make cross word patterns but it has a special feature. You are making the cross words by yourself AND you can take them apart when you get a new letter and see a better collection of crossing words. There is an element of "race to finish" as you are competing against your friends at the table which keeps the pace going, and I find myself competing to make the best word combinations. A terrific game!